There is one thing we looove about upcoming winter; is the sheer & sparkling delicates coming up for the season!! 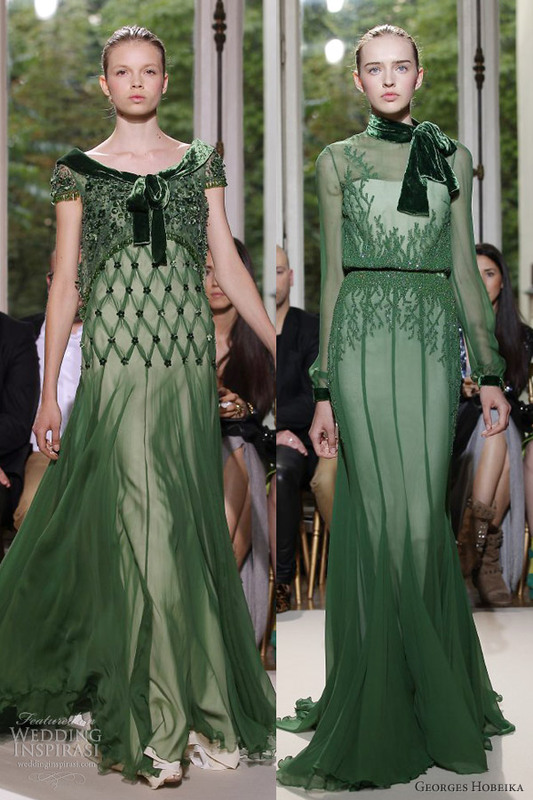 We loooove all these lovely swoon worthy gowns from Georges Hobeika Fall/Winter 2012-2013 couture collection. How can one say no to floating Sheer skirts, delicate floral details, beribboned funnel necklines — the whole design collection is so extraordinaire that we thought that Grace Kelly would approve! And to top it all; colored wedding gowns are definitely the best bride IN need nowadays. So say goodbyes to white dresses and let's do some drooling below.. Above dress, cap sleeve wedding dress adorned with sparkling petals; and below, strapless gown embellished with floral details on the skirt.. This elegant strapless mint green fit and flared gown are to die for!! 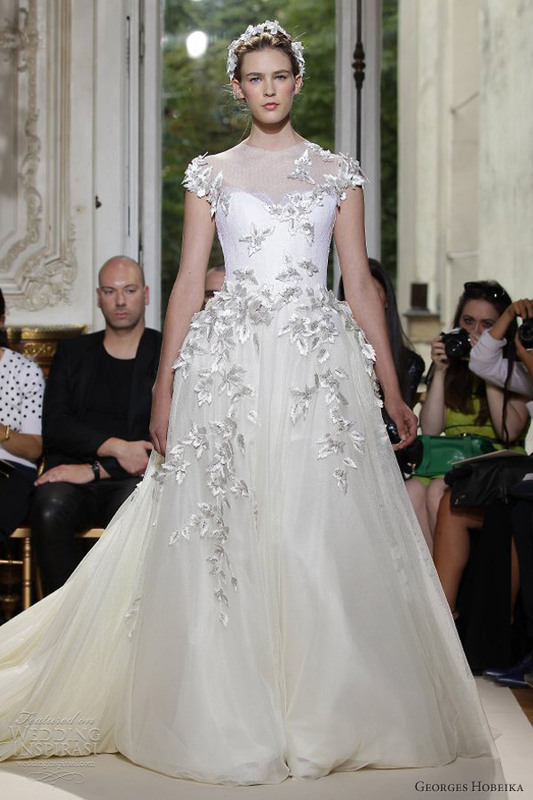 Cant stop adoring its petal appliques around the hem of the skirt. Such a perfecto! 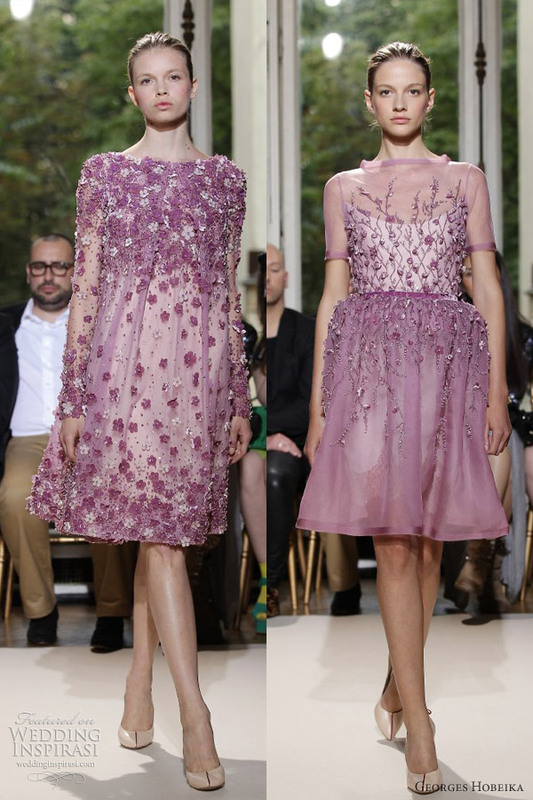 Below are the dreamy lilac gowns — long sleeves, features sheer gored skirt and beaded accents at the bodice. Love the color! Oooo its awesome they're emphaizing on sleeves! 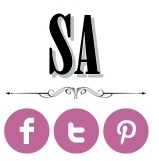 The next few lovelies are berry-hued beauties — above dress, ball gown with 3/4 sleeved velvet top; layered tulle skirts. And both gowns below, left is high neck 3/4 sleeve sheer gowns, right, off-shoulder with bodice of ombre petals with sheer skirt. More sleeves! Long sleeve raspberry gown with deep V-neckline and the other frock with center slit and peekaboo bodice. Pale blues has also made a statement in weddings too! Long sleeves gown with intricately beaded floral detailing. and the next is Pure Grace!! — elegant sky blue sheaths, strapless and with 3/4 sheer sleeves. 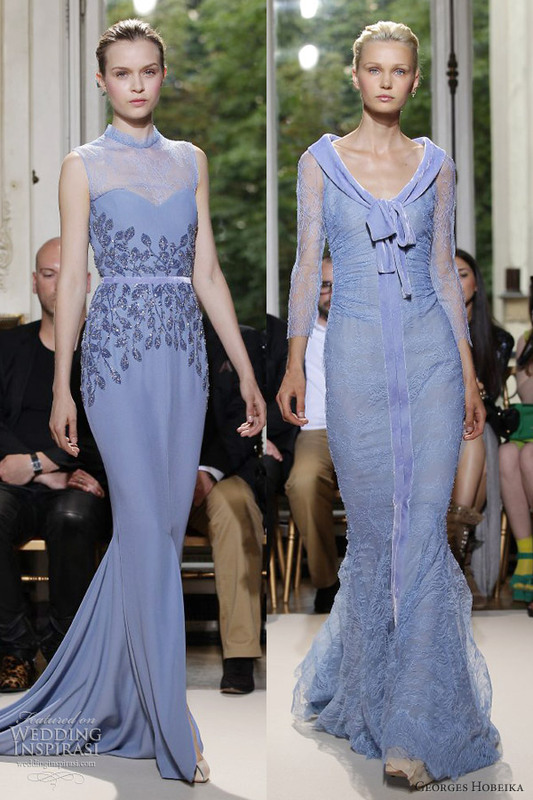 Georges Hobeika loves to instill a lil reto-ish in his designs. More 1960s inspired with bow-neck gowns in pale blue. Pockets an extra feature too; for the one on the right gown has pockets on the skirt. Green with envy! — Their collection of green is utterly envious! Featuring sheer overlay with velvet trimmed neckline accented with a bow. Below. pretty pale purple dresses with floral appliques. More blues with short sleeves. Both dresses with ombre petal bodice; another with 3/4 sleeve gown with high neckline and large floral appliques. Amongst the fave- Long sleeve gown with knee-length flowy skirt. Last but most favorite; Mint gown with 3/4 sleeves, brilliant deep V-neckline with a thigh-high slit of flair skirt . Moderated by SA source Wed Inspirasi.